A thorough review of the published information indicates that antibiotics rarely benefit acute bronchitis, exacerbations of asthma and chronic bronchitis, acute pharyngitis, and acute sinusitis, although they are commonly prescribed for these illnesses. Rather than prescribing them for these conditions, practitioners should explain to their patients that antibiotics, which have numerous adverse effects, will not hasten resolution of their symptoms, which will often respond to other medications. Most patients will accept this approach if the clinician addresses their concerns, shows a personal interest in them, discusses the expected course of the ailment, and explains the treatment. This prescriptive promiscuity, which increasingly involves newer agents with broader antimicrobial activity than the older preparations,2 largely explains the escalating antibiotic resistance of common bacterial respiratory pathogens in the community.6 In the selective pressure of indiscriminate antimicrobial use, susceptible bacteria succumb; with competition for nutrients and mucosal sites of residence diminished, resistant organisms thrive and proliferate. Consequently, Haemophilus influenzae and Moraxella catarrhalis are now widely resistant to ampicillin. In some areas, many infections with group A streptococci no longer respond to erythromycin and other macrolides, and penicillin is increasingly inactive against Streptococcus pneumoniae, a most worrisome development since few other effective agents exist. These bleak trends have led some infectious disease experts to the gloomy prediction of a "postantibiotic" era; a return to conditions that prevailed before the discovery of antimicrobial agents, with no efficacious therapy for many serious bacterial infections.7 Some hope emerges, however, from studies demonstrating that aggressive efforts to diminish the use of antibiotics to which organisms are insensitive may allow susceptible strains to reemerge as the dominant isolates.8,9 In Finland, for example, a campaign to restrict macrolides led to a decrease in erythromycin resistance among group A streptococci.8 A thoughtful approach to reducing the incidence of drug resistance is for clinicians not only to refrain from giving antibiotics for obvious viral diseases, such as the common cold, where they are clearly ineffectual, but also to examine their use in other respiratory tract infections for which they are commonly prescribed. In adults, such ailments include acute bronchitis, exacerbations of asthma and chronic bronchitis, pharyngitis, and acute sinusitis. This article derives data from a MEDLINE search of the English-language literature on topics of "acute bronchitis," "asthma," "chronic bronchitis," "acute pharyngitis," and "acute sinusitis" from 1966-2000, and a review of the pertinent material in the Cochrane Library as of 2001. It focuses primarily on the evidence from randomized, controlled trials, especially, when possible, on recent studies that reflect contemporary conditions. Some have proposed that respiratory bacteria such as Moraxella (Branhamella) catarrhalis, S pneumoniae, and H influenzae produce acute bronchitis or superinfect an originally viral condition.21 Since these organisms commonly inhabit upper airways of healthy adults,22-24 their significance as isolates is unclear. No criteria for sputum culture findings distinguish innocent airway colonization from invasiveness, if, indeed, such a process occurs. Thus, the concept of "bacterial bronchitis" from these microbes remains unproven. Eight placebo-controlled, double-blind trials have evaluated antimicrobial therapy.10,25-31 The entry criterion was productive cough, with or without purulence, for less than 2 weeks. The average age was about 35 to 45 years, and all studies enrolled cigarette smokers unless they had chronic bronchitis. Fewer than 10% were febrile (temperatures >38°C).26,27,31 Outcomes generally included duration of cough, feeling sick, time off work, and sputum production or purulence. In 4 studies, antibiotics conferred no significant advantage.10,28-30 In the 4 trials favoring antimicrobials, the differences, though statistically significant, were typically small and clinically unimportant. This overview is misleading because these studies vary considerably in quality and size. 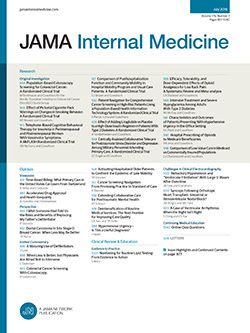 Defects include small numbers of participants,25,26,28,29 high drop-out rates,25 incomplete data collection,25,26 clinically meaningless outcome criteria,25 failure to enroll consecutive patients,28 and inappropriate statistical evaluation, such as numerous analyses uncorrected for multiple comparisons.26 Three investigations had numerous participants and reasonable methodological rigor. In one involving 91 patients, 25% with serologic evidence of M pneumoniae infection, erythromycin produced no advantage in duration of cough or chest congestion, improved well-being, and antitussive use, although the antibiotic recipients missed 1 day less of work.27 In another, with 158 patients, doxycycline did not significantly shorten the duration of productive or nocturnal cough, feeling ill, or impaired daily activity.31 With doxycycline, daytime cough disappeared 1.5 days faster, although it lasted at least 12 days in each group. In patients older than 55 years, cough lasted 4 days less in doxycycline recipients than in the placebo group, and those with frequent coughing who felt ill at entry returned to normal daily activities 2 days sooner with doxycycline administration. These differences, however, occurred in subgroups defined after the trial ended and emerged from numerous statistical analyses uncorrected for multiple comparisons. The largest trial investigated 212 patients with cough and purulent sputum; doxycycline did not reduce daytime or nocturnal cough, purulent sputum, and time "off-color" or off work.30 Pneumonia was rare (2%), irrespective of the treatment. Asthma denotes episodic, reversible airway obstruction, usually defined as reduced airflow improved by inhaled bronchodilators. Exacerbations are characterized by increased dyspnea, wheezing, and cough, which is often productive. Microorganisms provoke some attacks: viruses in at least 10% to 55% of patients,41-44M pneumoniae in less than 5%,44,45 and C pneumoniae in 5% to 10%.46-48 Investigations have not convincingly incriminated respiratory bacteria such as S pneumoniae.44 One study examined putative "infective" asthma—exacerbations with features suggesting a bacterial process, including altered sputum volume or color, radiographically defined sinusitis, nasal congestion or drainage, pharyngitis, and fever.49 Twenty-seven patients with asthma and 12 healthy controls underwent transtracheal aspirates to obtain uncontaminated lower respiratory tract secretions. Samples from both groups were sterile or yielded only sparse growth, primarily bacteria of low virulence, such as coagulase-negative staphylococci. Despite no evidence for bacterial infections in exacerbations, 20% to 50% of patients receive antimicrobials,41,50-52 a treatment examined in 1 double-blind trial.53 All 60 hospitalized participants received systemic corticosteroids and bronchodilators for their 71 episodes and randomly received amoxicillin or placebo. This antibiotic improved no outcome measure, including cough severity, dyspnea, wheezing, spirometrically measured airflow, and hospital stay. In conclusion, without pneumonia, a rare complication, neither obtaining sputum cultures nor prescribing antibiotics is appropriate. Instead, patients should receive bronchodilators and systemic corticosteroids to relieve airway inflammation and obstruction, as authoritative US and British guidelines recommend.54,55 Neither endorses antibiotic use for uncomplicated exacerbations. The best study supporting antibiotic therapy investigated 173 patients with 362 exacerbations77 defined by increased dyspnea, sputum volume, or sputum purulence. Overall, success was significantly greater in those receiving antibiotics (68%) than placebo (55%) and failures were fewer (10% vs 19%). For exacerbations with only 1 feature, antibiotics conferred no clinical advantage, and, with 2 features, it was marginal. With all 3 criteria present, about 40% of exacerbations, antibiotics recipients had greater success (63% vs 43%) and less deterioration (14% vs 30%), although whether these differences were statistically significant is unstated. Another large study, involving 278 patients, however, demonstrated no benefit for amoxicillin vs placebo.78 Both trials concur that antimicrobials are not beneficial in mild attacks. Why these 2 studies otherwise disagree is unclear, but potential explanations include differing entry criteria, patient populations, disease severity, and outcome assessments. Another dissimilarity is that the latter study eliminated patients with fever or suspected pneumonia, while 29% of subjects in the study favoring antibiotics reported fever. If some of these patients had pneumonia, a point impossible to ascertain because chest radiographs were not obtained, the benefit for antibiotics is not surprising. The latter trial also excluded patients taking oral corticosteroids, while in the one favoring antibiotics, about 40% of participants received them, but in no systematic assignment, dose, or duration. A disproportionate number of patients receiving these agents in high doses in the various groups might account for some of the differences in outcome. The issue of corticosteroids illuminates the crux of treating exacerbations: namely, the goal. Patients primarily seek therapy not for altered sputum volume or color but for diminished exercise capacity and increased dyspnea.77 Treatment should relieve these symptoms and prevent severe respiratory compromise, the most common reason for hospitalization,81 by reducing bronchial inflammation and airflow obstruction. Systemic corticosteroids achieve this goal by resolving bronchoconstriction and airway inflammation significantly faster than placebo, both in patients hospitalized with exacerbations82-84 and in outpatients.85 The outpatient study showed a striking advantage not only in improving oxygenation and peak expiratory flow rate, but also in preventing deterioration and hospital admission.85 When patients take systemic corticosteroids for exacerbations, antimicrobials may provide no further benefit. In the large study that favored antibiotics overall,77 there was no significant benefit for those concurrently receiving systemic corticosteroids. In another trial, among 71 patients treated with prednisolone, those randomly allocated to antibiotics in addition improved no faster than the placebo group.78 This investigation was small, however, and included 10 patients with asthma. In conclusion, microbiologic studies provide no conclusive evidence that bacteria cause exacerbations, and in most investigations, antibiotics provide no significant benefit. Overall, the preponderance of information indicates that obtaining sputum cultures and prescribing antimicrobials are unnecessary both in mild exacerbations and in the more severe episodes, which should be treated with systemic corticosteroids. This topic warrants further placebo-controlled, randomized trials, however, to clarify the microbiologic characteristics of exacerbations and determine whether any subgroups, particularly with severe disease, benefit from antimicrobial therapy when receiving concurrent systemic corticosteroids. Discussions of pharyngitis have focused on treating S pyogenes. Identifying streptococcal pharyngitis by clinical features89,92,93 is inaccurate; even when adjusted for disease prevalence,94 the criteria are insufficiently reliable for confident management decisions.95 Techniques to detect S pyogenes include obtaining pharyngeal culture specimens for everyone or only those with negative rapid test results that demonstrate group A antigen in throat swab findings.96 Several strategies for treating acute pharyngitis have emerged. One is to prescribe penicillin for all cases, without obtaining any studies.97 Trials examining this approach demonstrate no significant clinical benefit. In one, involving 528 patients, symptoms resolved no more quickly with penicillin than placebo.98 Another study randomly assigned 716 patients to 1 of 3 approaches: immediate penicillin, no antibiotics, or delayed therapy—penicillin if symptoms were unimproved after 3 days.99 No significant difference emerged for resolution of sore throat, time off school or work, or duration of any symptom, except fever, which abated 1 day sooner with antibiotics. A second strategy is to treat only those cases of acute pharyngitis whose cultures are positive for S pyogenes. Several studies have shown that in this group antibiotics alter the clinical course little. Sore throat, fever, and cervical lymph node tenderness resolve only about 1 day sooner than with placebo.100-102 Furthermore, in the trial reporting these outcomes,103 patients receiving antimicrobials did not return to school or work more rapidly and had no reduction in respiratory tract infections over the subsequent 6 months. A third approach is to treat patients whose clinical features suggest streptococcal infection. One double-blind study104 included 561 adult patients with sore throat for less than 7 days who met at least 3 of the following 4 criteria89: history of fever, absence of cough, pharyngeal exudate, and swollen anterior cervical lymph nodes. Symptoms resolved 1.7 days sooner with 7 days of penicillin therapy than with placebo, and patients resumed usual activities 2 days sooner, but they did not return to school or work more rapidly. Nausea (40%) and abdominal pain (25%) were significantly more frequent in the penicillin recipients than in those receiving placebo (15%), although few discontinued the medications because of these adverse effects. The more rapid resolution of symptoms occurred in those with cultures positive for S pyogenes or when other streptococci were present in at least 3+ growth specimens (into the third inoculation area on the culture plate). An argument for detecting and treating streptococcal pharyngitis is to prevent its complications, including the immunologic sequelae of acute rheumatic fever (ARF), especially carditis, acute poststreptococcal glomerulonephritis, and the suppurative disorders, primarily peritonsillar abscesses. The efficacy of treating streptococcal pharyngitis to prevent acute poststreptococcal glomerulonephritis is unknown,107 although some observations suggest a benefit in epidemics of streptococcal pyoderma.108 In industrialized countries, acute poststreptococcal glomerulonephritis is quite uncommon following streptococcal pharyngitis: a study among Scottish children in the 1970s estimated that it occurred in about 1 of 17 000 cases of untreated patients.109 It is even rarer in adults, its frequency and severity are declining,110 and, even if antibiotics were effective, enormous numbers of patients would require treatment to prevent 1 case. In conclusion, controlled trials do not support the policy of prescribing antibiotics to all adults with pharyngitis. Instead, most patients should receive antipyretics, reassurance, and information about the disease's natural history: it lasts about 5 days after consultation, and in almost 40% of patients, symptoms persist even longer.111 For those who fulfill at least 3 of 4 clinical criteria, it is unclear whether the modest clinical benefits outweigh the adverse effects for most patients, but 1 reasonable approach is to offer a 7-day course of oral penicillin to those with more severe symptoms. Using antibiotics to prevent acute poststreptococcal glomerulonephritis and peritonsillar abscesses following streptococcal pharyngitis is unjustified because these complications are rare and the benefit of therapy is uncertain. Other studies find no consistently reliable clinical criteria to identify acute sinusitis, including fever, which occurs in 10% to 15% of cases.130,132,134 Several investigations131-134 have also shown that only 45% to 70% of patients with clinically suspected sinusitis have radiographic or needle aspiration evidence of it, and only 30% to 40% have a bacterial infection. For the 60% to 70% of patients having no bacteria in suspected acute sinusitis, antimicrobials presumably confer no benefit. Moreover, given the pathogenesis, promoting sinus drainage by relieving ostial obstruction may be more important than antibacterial therapy. Six double-blind, placebo-controlled trials evaluated antibiotics in acute sinusitis.131,135-139 Four showed no benefit.131,135,138,139 The studies conflict for unclear reasons, but examining the 3 best trials—those with numerous participants and clearly delineated entry and outcome criteria—is illuminating. One supported antibiotics,131 2 did not.135,137 One, using computed tomographic criteria of fluid levels or total sinus opacification, randomly gave 130 patients amoxicillin, penicillin, or placebo.131 Those receiving antibiotics recovered significantly faster: symptoms lasted a median of 9 days for amoxicillin, 11 days for penicillin, and 17 days for placebo. (In 70 patients with identical clinical features, but with only mucosal thickening on computed tomographic scan, antibiotics were no better than placebo, but the numbers in each group were small.139) Another trial randomized 214 patients with abnormal plain radiograph results to amoxicillin or placebo.135 No benefit for antibiotic therapy emerged. The third study used clinical criteria: 3 major symptoms (preceding cold or influenza, purulent nasal discharge, maxillary sinus pain on bending forward) or 2 major symptoms plus 1 other complaint (predominant unilateral maxillary pain, toothache, or pain when chewing).137 The trial randomized 192 patients to placebo or doxycycline; the antibiotic provided no advantage. One possible explanation for these discrepant results is that computed tomographic criteria in the first study identified patients more likely to have bacterial infection than the radiographic or clinical criteria of the other 2 trials. Another difference, however, is that the latter studies explicitly prescribed xylometazoline nasal drops (which cause vasoconstriction, reducing mucosal edema) and steam inhalation, while the first neither required nasal decongestants nor specified their type or frequency of use. Since relief of ostial obstruction probably hastens improvement, antibiotics may add nothing to aggressive therapy that decreases mucosal edema. In all studies, symptoms resolved slowly. On average, they began about 2 weeks before entry into the trials, and, however treated, at least 20% to 30% of patients had significant complaints 7 to 10 days later, some persisting for at least 2 to 3 weeks. In these studies placebo recipients developed no serious complications, such as subdural empyema or chronic sinusitis. In conclusion, most patients with putative acute sinusitis have no bacterial infection, and antibiotics are unhelpful for most patients with suggestive symptoms, even when suspicious abnormal findings appear on radiographs or computed tomographic scans. Ordinarily, such tests are unnecessary, impractical, and expensive. Instead of antibiotics, most patients should receive nasal drops or sprays (xylometazoline or oxymetazoline), analgesics, and, possibly, steam inhalations 3 times daily. They should understand that symptoms abate slowly; complete resolution may require several weeks, but some improvement usually occurs within a few days. Currently, no clinical criteria reliably define patients who might benefit from antibiotics, but treatment is certainly reasonable for those with high fever, systemic toxicity, immune defects, or features suggesting intracranial or orbital involvement. In many trials, drug-related complications were much more common with antibiotics, as 3 recent studies of acute sinusitis demonstrate. In 1, doxycycline recipients had a 17% incidence of adverse effects, with 4 (4%) of 98 patients discontinuing the medication, while only 2% reported complications in the placebo group, none stopping the agent for that reason.137 In the second trial, adverse effects occurred in 9% in the placebo group vs 28% in the amoxicillin recipients,135 and in the third study, they developed in 36% of the placebo group compared with 56% receiving amoxicillin and 59% receiving penicillin.133 Recent investigations of pharyngitis, acute bronchitis, and exacerbations of chronic bronchitis also demonstrated substantially more adverse effects in those receiving antimicrobials.22,31,78,104 Determining the overall benefits of treating respiratory tract infections, therefore, requires considering symptoms that antibiotics cause, which may be less palatable than those from the original disorder. One study, for example, queried patients about the additional duration of pharyngitis that they would accept compared with the therapeutic risks.140 They preferred 1.5 to 2.5 days of symptoms to even a 5% chance of a mild penicillin rash (hives). Some practitioners may believe that prescribing antimicrobials is quicker than fulfilling these expectations, although no investigations evaluated the time involved with these different strategies or the patients' assessment of such behavior. Two studies of pharyngitis, however, showed that those not receiving antibiotics were less likely to return for subsequent episodes than those who did, although both groups were equally satisfied.111,153 These trials occurred where patients were unlikely to seek other medical care; rather, they managed their illness by themselves. Physicians who educate patients in this way may actually reduce their workload. Promiscuous prescribing of antibiotics substantially increases the cost of medical care, but it has a more pernicious effect. Antimicrobials are unique among medicines in that their excessive use, especially of those with a broad spectrum of antibacterial activity, can lead to decreased efficacy, as bacteria become resistant throughout the community. Unsurprisingly, the widespread indiscriminate administration of antibiotics that is common now has diminished the susceptibility of respiratory flora.6 To help alleviate this problem, clinicians should avoid prescribing antibiotics for conditions for which they are ineffective, marginal, or unimpressive, reserving them instead for conditions for which they exert substantial clinical impact. Except where noted, the available information indicates that antibiotics provide little or no benefit for disorders reviewed here, which account for nearly half of adult outpatient antibiotic use. Rather than prescribing antimicrobials, practitioners should explain that these ailments are rarely serious; they spontaneously abate, albeit sometimes slowly; antibiotics do not hasten resolution, but often make patients decidedly worse; and treating symptoms by other means frequently helps. For nasal and sinus complaints, vasoconstricting nasal sprays or drops such as oxymetazoline are reasonable, and, in acute bronchitis, antitussives may diminish coughing. Inhaled bronchodilators are often beneficial for dyspnea, wheezing, or severe cough in acute bronchitis and are indicated, along with oral corticosteroids, for exacerbations of asthma and chronic obstructive lung disease. Using terminology that suggests a viral cause may also help,154 since many patients understand that antibiotics are ineffective for viral infections: practitioners should use diagnoses such as "viral sore throat" and "chest cold" rather than "acute bronchitis," and "sinus cold" rather than "acute sinusitis." As indicated at the beginning of this article, William Osler155 acknowledged that humans enjoy taking drugs, but he also said, in a statement remarkably appropriate for antibiotics, "One of the first duties of the physician is to educate the masses not to take medicine." Accepted for publication July 2, 2001. Corresponding author and reprints: J. V. Hirschmann, MD, Medical Service (111), Puget Sound VA Medical Center, 1660 S Columbian Way, Seattle, WA 98108 (e-mail: pepsi@u.washington.edu).